The telecoms regulator has warned O2 (Telefonica UK) that there are “reasonable grounds” for believing that they failed to provide “accurate and complete answers” as part of last year’s investigation into the mobile operator’s Traffic Management practices on their 3G and 4G network. At present the EU’s related Net Neutrality rules are applied using a self-regulatory approach in the UK via the 2016 Open Internet Code. This requires providers to treat all internet traffic equally without discrimination, restriction or interference (here). Essentially the code means that broadband ISPs and mobile operators cannot impose excessive restrictions against legal internet traffic, albeit with caveats for network management and security purposes etc. In keeping with that Ofcom is understood to have raised a number of concerns with O2 last year, which resulted in the operator providing signed assurances and committing them to making a number of key changes by 30th April 2019. * To stop compressing any web content or images to manage traffic. * It will write to Ofcom as soon as possible, and no later than 30 April 2019, to confirm its compliance with these commitments. The regulator was satisfied with those assurances and has chosen to take no further action, although they have decided to challenge O2 over the operator’s initial response (in February 2018) to a related information request about its Traffic Management practices (here). According to Ofcom, O2 may have “failed to comply with the obligations imposed in the Request, by not providing accurate and complete information in its initial response.” The regulator has now issued O2 with a notification of their findings and will give them an opportunity to respond, before publishing their final decision. Ofcom has various powers to require changes or impose penalties upon providers that don’t follow their rules. Considering how poor the speeds are currently on their network, I wonder how bad they will be without compression. Hmm it’s funny how they’ve gone from one of the best networks with good coverage to the worst. And EE has gone the other way round. I shall give them this year to improve, if not I may move to Plusnet Mobile as they use EE. I’m with Tesco Mobile who have the packages I want and give good customer service. I was with Tesco for several years. Brilliant for customer service and pricing. Sadly left them because their coverage is shockingly bad, though no fault of theirs – except for using o2 as their infrastructure. The last straw was Criccieth in Wales. The place has a castle and a high street with hotels. I could barely get a 2G signal there whereas partner on EE had fast 4G all over. Unacceptable. I’ve heard they’ve been improving but not convinced. Why anyone in North Wales would use them or an MVNO that uses them is unfathomable. O2’s 4G is slower than 3G, I’m sure of it. I’ve been a loyal customer for more than 10 years but I’ll be off in December once my contract is up. 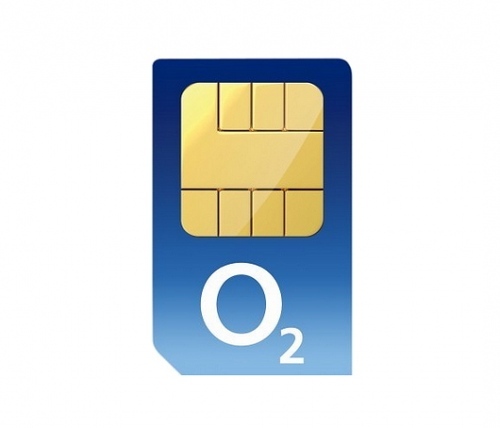 O2 heavily prioritizes its own customers over those of 3rd parties using their network. They have repeatedly failed to sort out software/bandwidth limiting issues in Malvern for over 10 years. 4G isnt too awful (but not very good), but there is now NO 3G provision at all; lose 4G and you lose internet. Prior to the last 4G “upgrade”, 3G was limited to dial up speeds, even standing directly next to the local tower. The ONLY reason we still use GiffGaff/O2 is the cheap overseas calls to the inlaws in China.